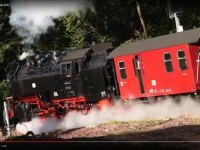 During our 2015 visit to the Harz, Gemany, I travelled all three constituent lines of the Harzer Schmalspurbahnen. This album covers our journey on the Brockenbahn. Centrepiece of the story is of course our journey on the railway itself om Monday 28 September. I made photos of the same line on various other days and I added them to this album. 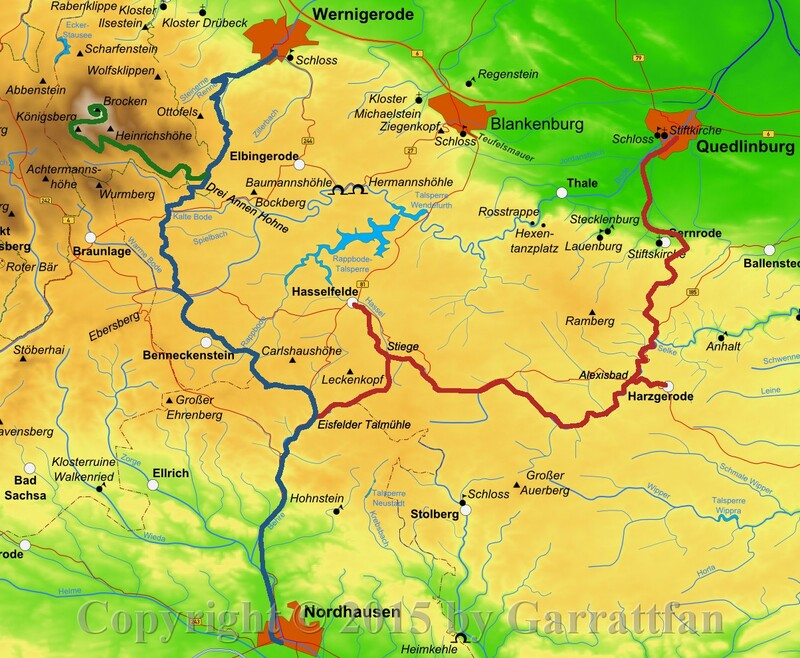 1 The Brockenbahn, indicated in green on this map, is the stretch of railway that is most popular among tourists as it takes you up its namesake mountain, with 1141 meters the tallest of North Germany. On clear days the view is several dozens of kilometres over surrounding countryside. The line starts at Drei Annen Hohne where it connects to the Harzquerbahn. 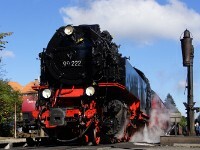 Most trains however start at Wernigerode and run over the first stretch of the Harzquerbahn to Drei Annen Hohne and then switch to the Brockenbahn offering at total ride of 33 kilometres with a climb from 184 m in Wernigerode to 1125 m on the Brocken. 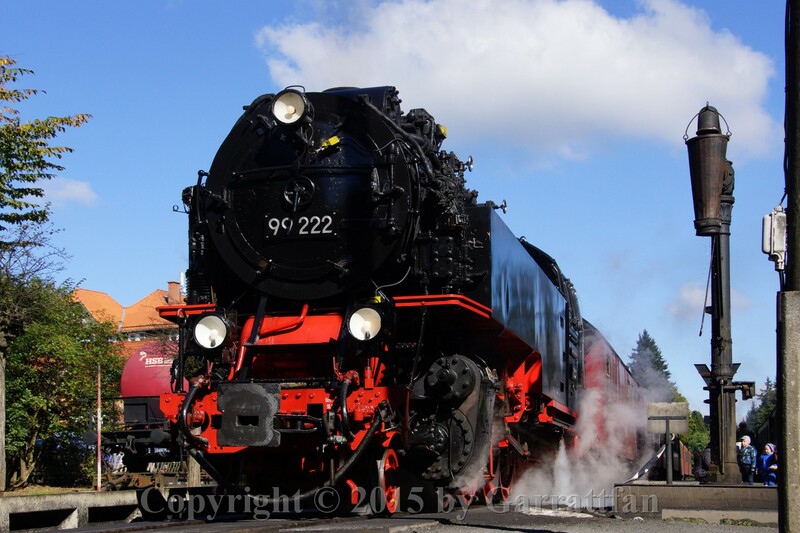 2 We had a holiday home, "Luise", in Wernigerode, not by coincidence only a ten minutes walk away from the station. Ideal for real steam addicts. Passing the footbridge over the railway lines you get this first glimpse of the depot. 3 The day started with a glorious autumn sunshine. We first bought our tickets of course. 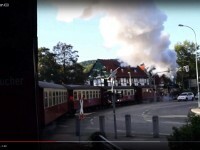 A normal return ticket to the Brocken costst €37 pp (2015). 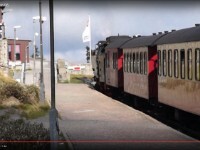 If you buy the Brocken Card however, it will cost you €47 pp (2015) and it will allow you one return to the Brocken and another return trip of your choice on another day and on any other section of the HSB than the Brocken railway. I bought this Brocken Card, because I also wanted to ride the steam hauled return trip from Nordhausen to Drei Annen Hohne, of which I have a separate album. 4 We had the first train of the day, 08:55, which meant: rise early. 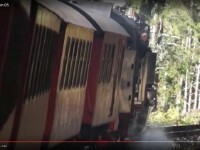 31 Two standard gauge cars on narrow gauge "conversion cars". 37 The train meanders its way through twon, frequently using its low melancholically howling whistle to warn taffic on the overpasses. 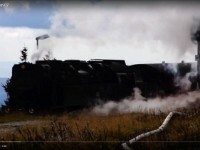 40 We visited the station a few days earllier while on a walk and chanced upaon a passing train toe the Brocken which incidentally was hauled by the very same locomotive we had in front of our train today. So if had been on the platform our entrance into the station could have looked like this. 53 Waiting for the "go"
58 Schierke is not much of a station. It was originally envisaged as important impulse to the upswing of tourism for the town put this never really materialised. The station now mainly serves as a passing loop to cross the down trains. 67 Gradually the train reaches the end of the tree zone which is at 900 metres. That is exceptionally low, the Alps' tree line lies at around 1600-1800 metres. But the climate in the Harz is harsh. 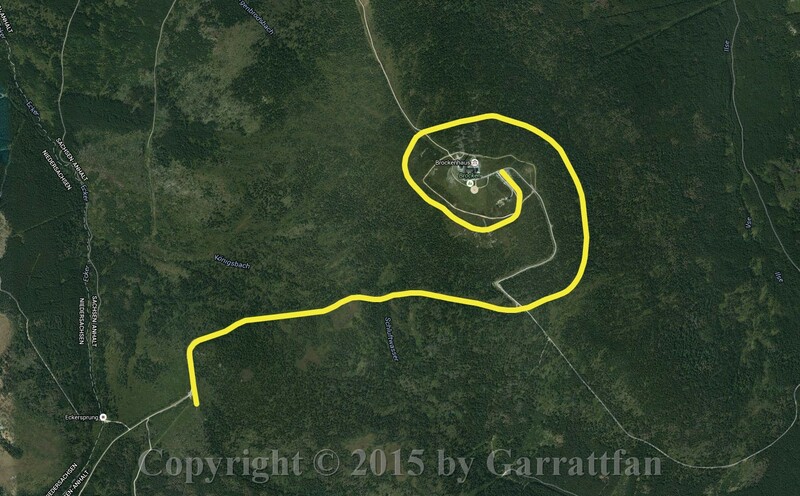 69 The train now enters an impressive one and a half counter clockwise turn to reach the top. 71 In the "big turn"
87 After having spent a few glorious hours we slowly returned to the summit station. 88 236 the same loco that brought is up is now entering the summit station after having brought up its second train this day. 89 So the same loco that brought us up is going to take is down. 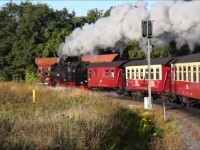 91 Back in Drei Annen Hohne, I found the loco of another up train being resupplied with water. 105 Slowing down, the last metres.